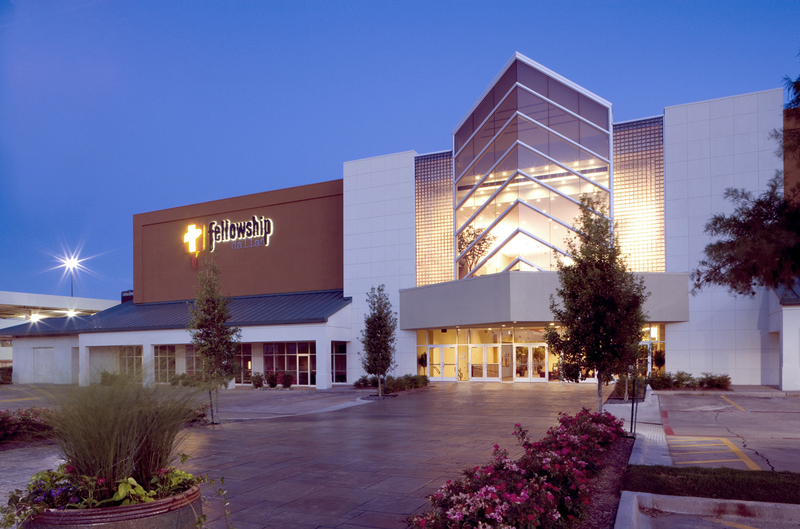 To accommodate its growing congregation, Fellowship Bible Church – Dallas asked OMNIPLAN to adapt a multiplex cinema for use by the Church. The existing two story, 130,000 sf facility contained eight theaters on the second floor and approximately 50,000 sf of retail and restaurant space on the ground floor. OMNIPLAN developed a design to combine three auditoriums into a 1,300 seat worship auditorium and adapt the remaining auditoriums into adult and youth educational space. The first floor restaurant and retail space was converted to nursery and children’s space and counselling areas. A new third floor was constructed for administrative space. 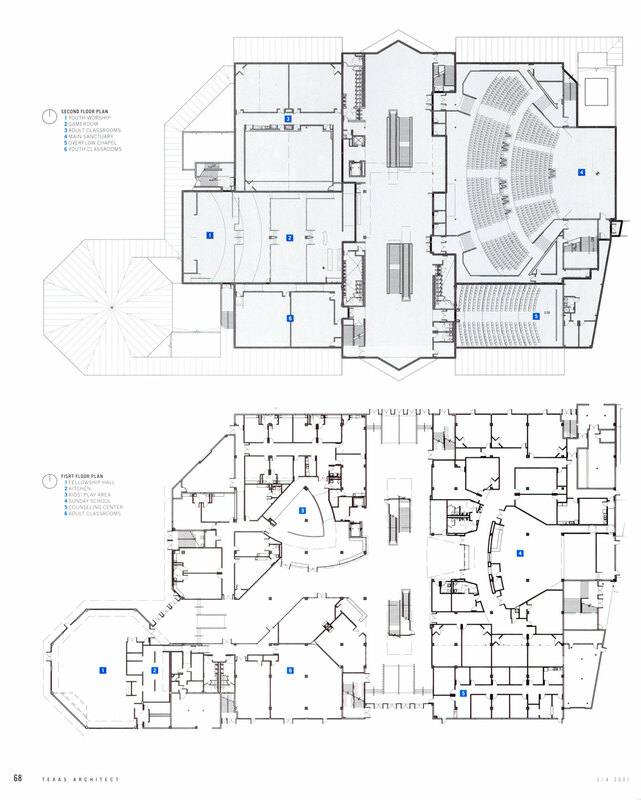 In addition to adapting the cinema building for immediate use, also, OMNIPLAN created a master plan for additional expansion phases which are anticipated to begin soon. The church’s incorporation of media technology into the architectural “conversion,” further reinforces its mission, since it provides more opportunities for outreach and equips church members with the ability to connect with each other. 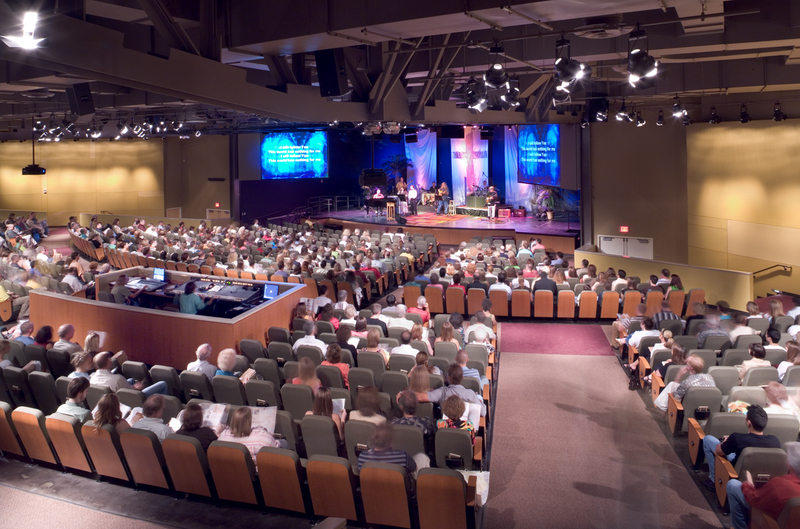 The primary stadium-seating worship space was created by removing the interior walls between three existing theater auditoriums to create a single, 1,300-seat auditorium with stadium-style seating. Because of the facility’s previous use, the building walls and roof were already designed to quiet exterior noise, but additional sound attenuation was added to improve the quality of the interior acoustics.